Interested in becoming a top expert on VB6 to .NET migrations using our flagship automated tool, the Visual Basic Upgrade Companion? Our Certification Program provides all the necessary resources to teach you and your technical team how to make the most of ArtinSoft’s industry-leading product. Find out more right here, right now! This certification is for Center of Excellence Teams who will be executing VB6 to .NET migration projects using ArtinSoft’s VBUC. It is recommended not only for developers, but for project managers and quality assurance coordinators as well. 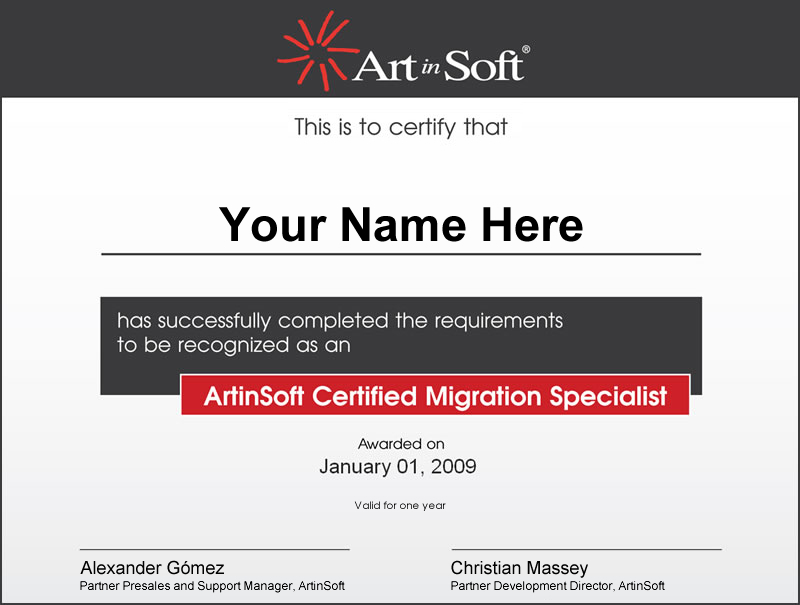 Individuals approving the aforementioned requirements will obtain the following certification: ArtinSoft Certified Migration Specialist. This certification is valid for one year.